Despite ever-increasing political support to U.S. Army Special Operations Forces (ARSOF) in the 21st century, enduring obstacles continue to limit the execution of support to resistance movements as a viable strategic policy option for the United States. When both diplomatic and conventional military options prove too costly and/or reach an impasse, the National Command Authority is left with two options: do nothing or force a change by supporting elements of the indigenous opposition. 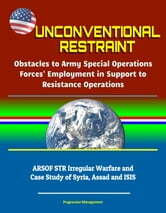 Recent history provides several examples of presidential decisions to leverage U.S. military support to resistance movements (STR) to, as outlined in Joint Publication 3-05, Special Operations (2014), "coerce, disrupt or overthrow a government or occupying power" in Afghanistan, Iraq, Libya, and most recently, Syria. Yet the efficacy of this core activity remains constrained by legal, political, and organizational challenges. 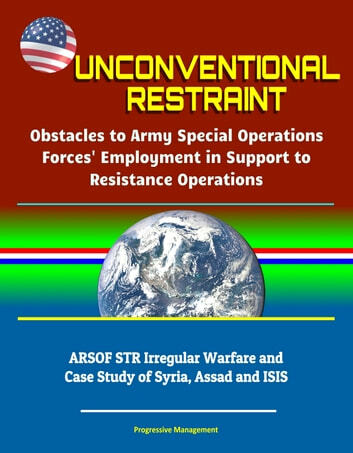 This study explores both the causes and depths of these obstacles to the employment of ARSOF elements in support to indigenous resistance activities and identifies feasible means to overcome these hurdles. Ultimately, recognition and alleviation of these obstacles will optimize ARSOF's activities and arm national policymakers with the ways and means to achieve long-lasting policy ends.